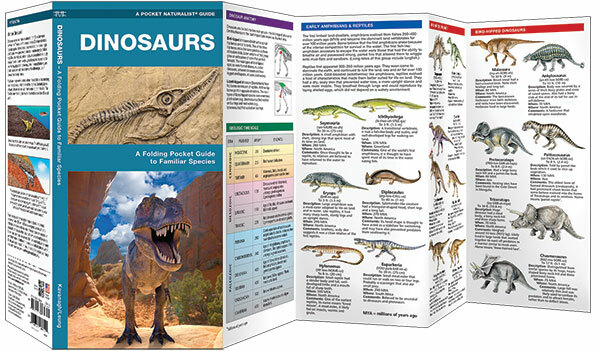 Dinosaurs is a simplified reference guide to the main types of dinosaurs and how and when they evolved to become the dominant land animal on Earth for over 100 million years. 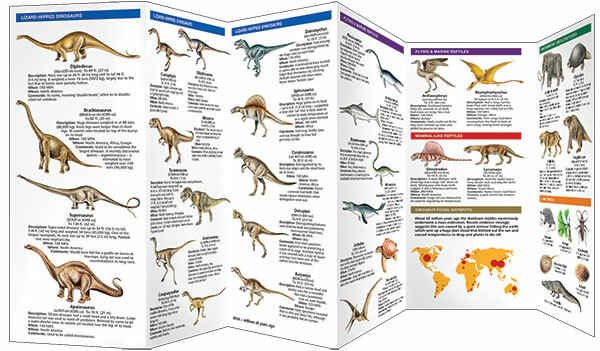 This beautifully illustrated guide highlights over 40 familiar species and includes a map on the world’s dinosaur-finding hotspots. Also includes detailed information on familiar post-cretaceous species including saber-toothed cats and mammoths, how fossils are preserved and where and how to hunt for them. This convenient guide is an ideal, portable source of practical information for naturalists of all ages. Made in the USA.